Erm...where did that week go? All the intentions of blogging in the evening after work got knocked on the head. Between prepping for the next day, homeworks, gym and catching up with all the great TV people kept telling me I was missing (Cold Feet anyone? LOVED it! )...oh and I can't forget the small issue of recording a Christmas song with Gareth Malone. 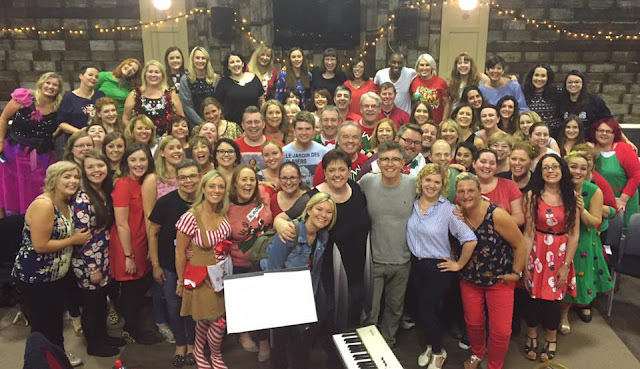 Yes, this week, the whole of the choir was sworn to secrecy but I can tell you now that we are backing vocalists on two of the tracks from Gareth Malone's new Christmas album. We sing on his cover of the John Lennon song 'War is Over' and also a Gareth's own Christmas song, which is going to be sung by Ricky Wilson from The Kaiser Chiefs. Well the excitement was unreal...helped by the fact that we all had to wear Christmas costumes. and there's also a video on this link. What to wear was challenging mainly because of the heat. I also was trying to strike that difficult smart/casual balance. Monday, I went for white jeans and an oversized top with a scarf I got from Next about 3 years ago that has more than earned its keep. A scarf with white in it will always work hard for you. So many of them have cream or off-white bases. 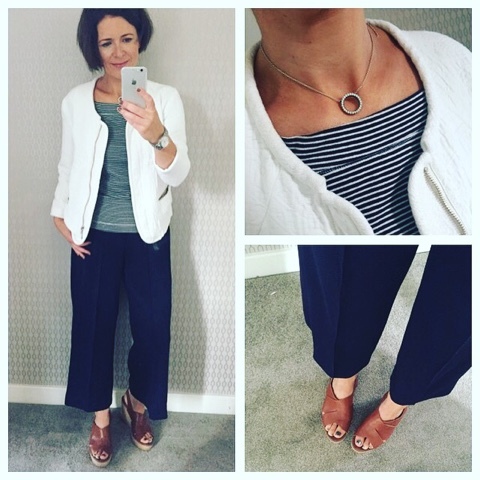 Tuesday, it was time to dig out the culottes and these ones I picked up in ASOS last year but I've not really worn them much as they always felt too long. I hoiked them up at the waist for the day but I think I'm actually going to let the hems down and wear them as a wide legged trouser with flat shoes. And on Wednesday, I wore black jeans with a top I got in H&M many years ago which I also wear loads. The shoes are past season Topshop. So a nice quiet weekend would be a good idea no? No - heading to Dublin in an hour for a birthday party. 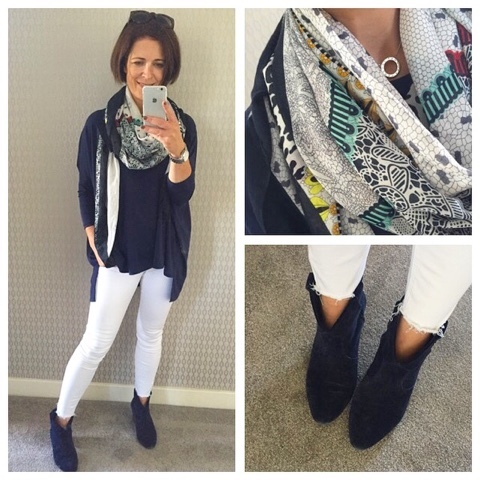 I love your white jeans and boots combo, think it was Monday's outfit! I could really do with a pair of similar boots, pain they're past season. 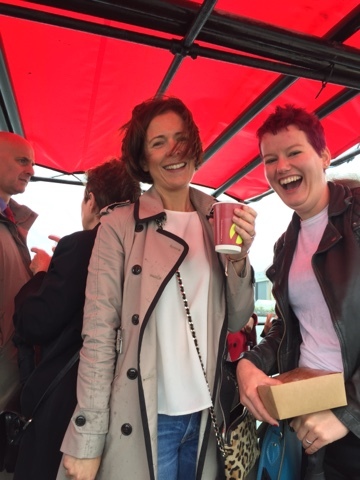 Loving all your outfits,could this be a regular feature? I like seeing real outfits that you actually wear. 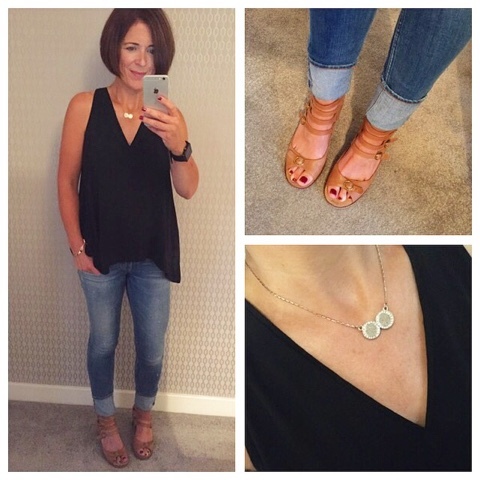 Love this posts and especially love your TK Maxx jeans with the turnups! Do you know which brand they are please?